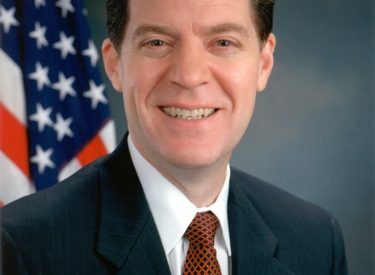 Topeka – Kansas Governor Sam Brownback has proclaimed Nov. 29 as “Small Business Saturday” in Kansas to highlight the importance of small businesses to the state’s economy. “Small businesses are vital to our state’s economy, employing 75 percent of all working Kansans," said Governor Brownback. "I encourage everyone to support the small businesses in their communities, both this Saturday and throughout the holiday season." Small Business Saturday celebrates small businesses across the nation and encourages people to “shop small” on what is traditionally the busiest shopping weekend of the year. For more information on Small Business Saturday, go to http://smallbusinesssaturday.com/. According to the National Federation of Independent Business (NFIB) the holiday shopping season is crucial to small businesses. Now in its fifth year, Small Business Saturday encourages people to support the local businesses that play an important role in their communities. "Small and independent business owners are among the most generous supporters of civic groups, local charities, youth sports, schools and virtually every other form of community activity," said Dan Murray, state director of NFIB. "Shopping locally is a great way for people to help their friends and neighbors create jobs and opportunities in the places where they live."